The Other Side is a 13-part half-hour documentary series that follows a team of paranormal investigators who, with the guidance of an Aboriginal Elder, seek the truth behind real life ghost stories and the most unsettled spirits on the Canadian prairies. 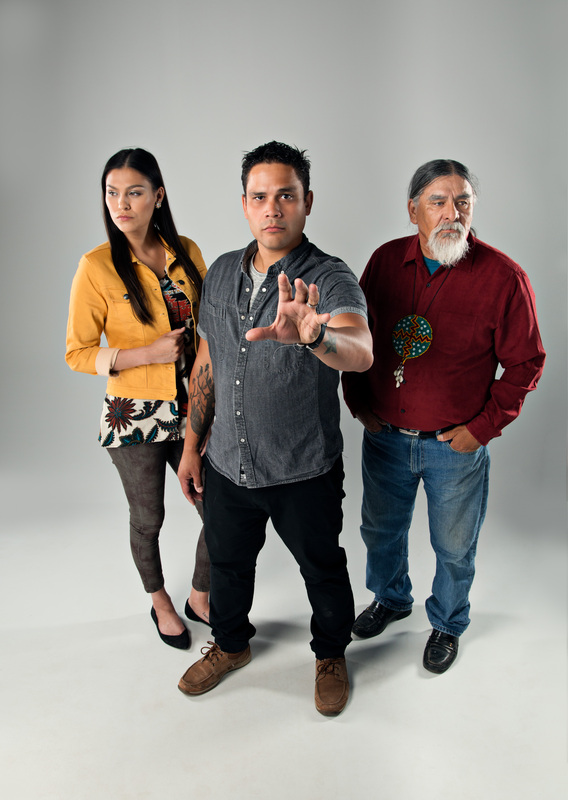 Intuitive Jeff Richards, Investigator Michaella Shannon and Aboriginal Elder and Spirit Guide Tom Charles embark on a paranormal expedition to find out why. The team engages the spirits through a mix of technology, intuition, and Aboriginal spirituality and ceremony, all with the hope of restoring balance between our world and the world where spirits walk. For each investigation, Jeff uses his abilities to initiate contact and reach out to the spirits, Michaella digs for the story behind the story while both seek cultural guidance from Tom, who attempts to guide the spirits to the other side and restore balance and harmony. The team does their best to answer why the location is suspected of paranormal activity, who the spirit is, and why they’re communicating, while taking steps to enable the unsettled spirit to move on. The Other Side – Season 4 is a co-production between Saskatoon’s Angel Entertainment and Toronto-based RedCloud Studios, with producers Bob Crowe, Wally Start and Jennifer Podemski. Directed by Saxon de Cocq, Francis Laliberte and Luke Hutton. Jennifer Podemski is an award winning, Gemini nominated actress and producer born and raised in Toronto, Canada. Since beginning her professional career at the age of 14, Jennifer has achieved great success as an actor in film, television and theatre. Best known for her roles in Bruce McDonald’s acclaimed feature film Dance Me Outside, CBC’s The Rez and Riverdale, Jennifer has maintained a presence in front of the camera for more than 25 years. Since 1999, she has spent most of her time working behind the camera as a producer, writer and director. First, as Co-Founder and Executive Producer at Big Soul Productions, an aboriginal owned and operated production company that she founded with Laura Milliken. In 2005, Jennifer branched out on her own and founded Redcloud Studios, an independent production company. Wally and Bob are Creative Producers who guide The Other Side from story to screen. As the principals of Angel Entertainment they are responsible for many projects in development, production and post on an ongoing basis. Their dramatic and factual television series have been sold into more than 30 countries around the world, and their feature films have screened at festivals in France, Belgium, the US and Canada. Most recently, Angel’s feature film Big Muddy premiered at the Toronto International Film Festival. Sadly, Bob Crowe passed away suddenly in December of 2017. His vision and legacy will continue to be carried on by Wally Start, and the employees of Angel Entertainment and Bamboo Shoots. When Saxon isn’t working with commercial clients, he keeps busy by writing, directing and editing his own short films. Saxon’s most recent short film, The Invincible Sgt. Bill, aired on CBC in the spring of 2017. Over the last two seasons Saxon has had the privilege to travel across Canada directing a number of episodes of the nationally broadcasted TV series, The Other Side. 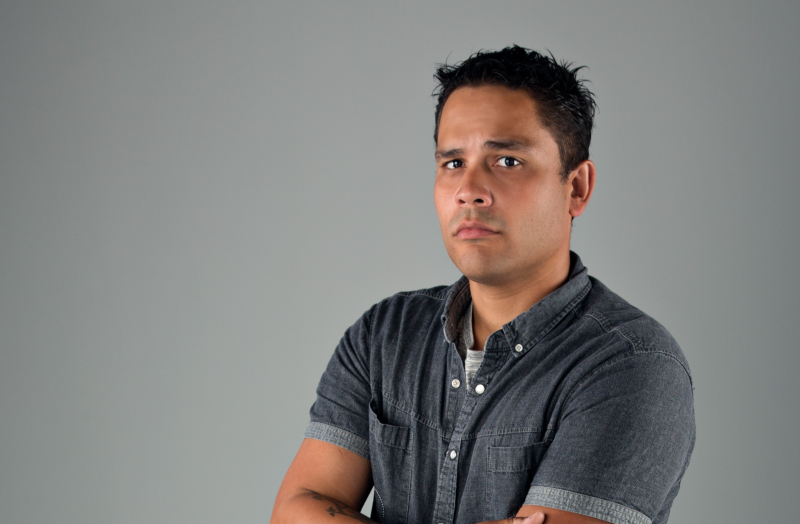 Francis Laliberte is a Media Artist of Cree decent who started work writing, directing, and editing videos that addressed the topics of Suicide Prevention, Addictions, and Healing. Three of his short films have won 5 film festival awards. He has experience in movies, tv, and commercials as a Production Assistant, Grip, Digital Imaging Technician, Assistant Director, and Director. Whether as a Director, Editor, DP or Writer, Luke has been crafting award-winning visual stories for nearly 2 decades. He is a graduate of the the University of Southern California’s world-renowned School of Cinema-Television and his directing credits include series drama, series documentary, long form broadcast documentaries, music videos, museum installations, reality TV, and TV ads. In addition to his work in the field Luke is currently a full time professor of film production and screenwriting at Niagara College where he helps a new generation of filmmakers craft award-winning work.